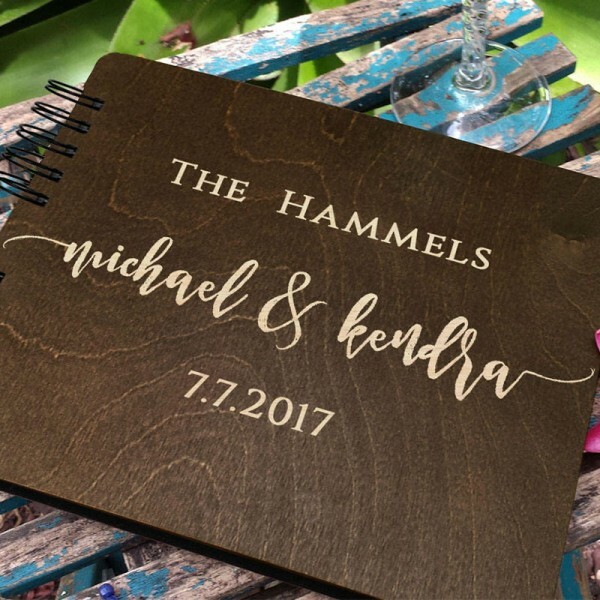 Personalized Baltic Birch Wood Guest Book Personalized with First Names of Couple, Last Name and Special Date. Available in Burnt Cocoa and Black Wood Stain Finishes. The engraving reveals the light birch wood color with a gorgeous contrast. 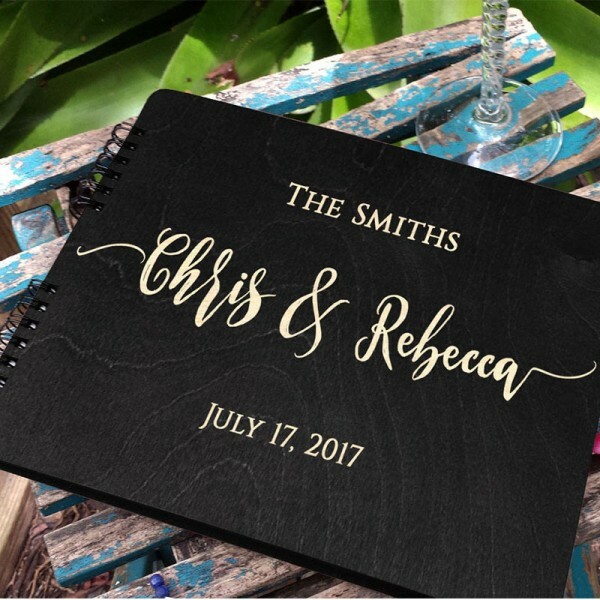 A perfect combination of Guest Registry, Polaroid Album and Wish cards, Wedding guests can just sign the guest book pages or add their free form advice and wishes for the newlyweds. Each page can easily accommodate several guest entries. 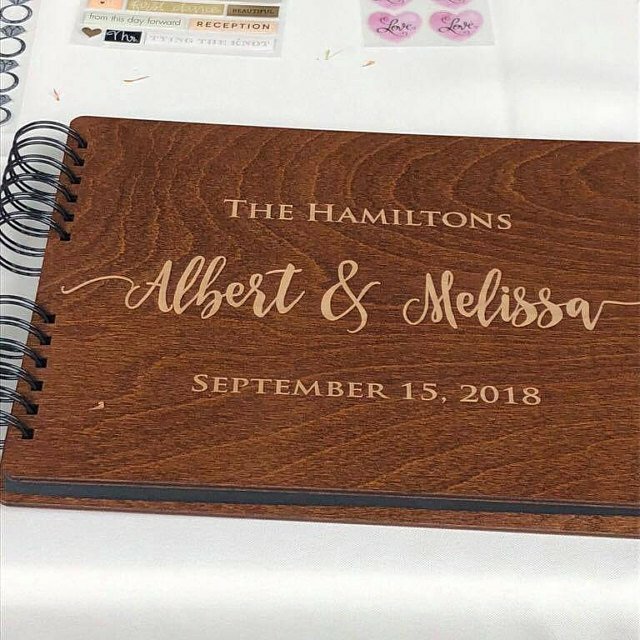 Unique and Handmade Guestbook will keep precious memories of the special day. 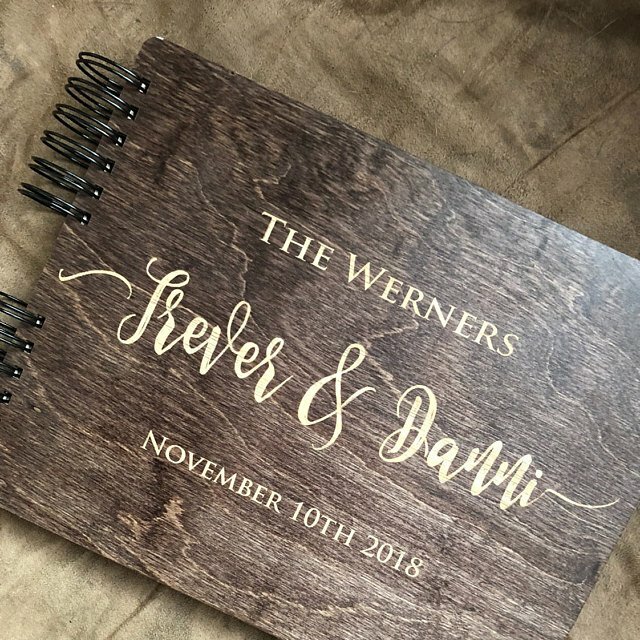 This Wedding Guest Book is enclosed in a wooden cover, made with love just for you. 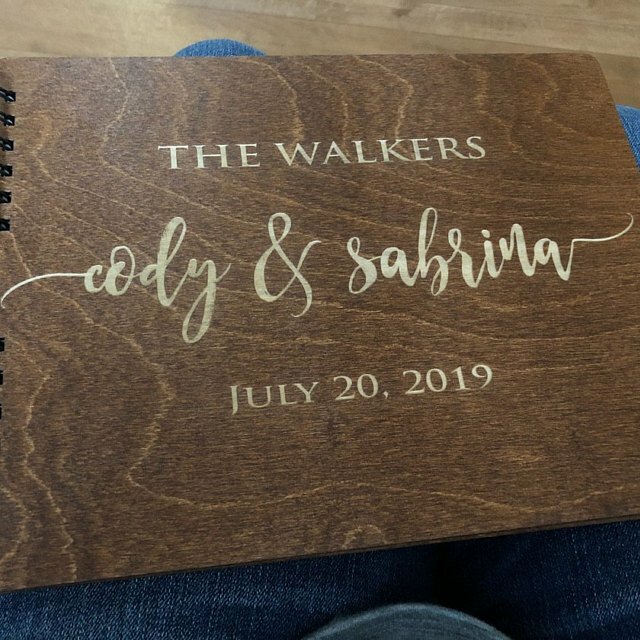 It is personalized with laser engraved to make it a forever keepsake. 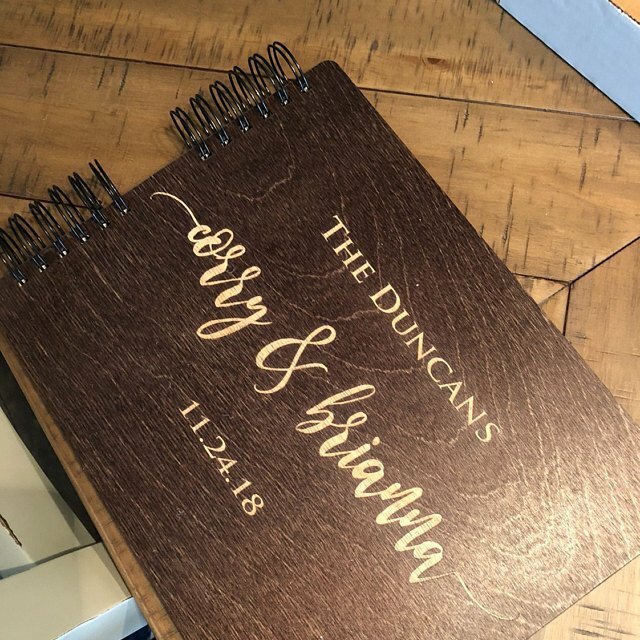 Beautiful guest book! Well made just as described and shipped on time! Excellent product. I would highly recommend ordering from them. came as what expected it to be. the material of wood and paper are great. Such a prefect wedding gift! 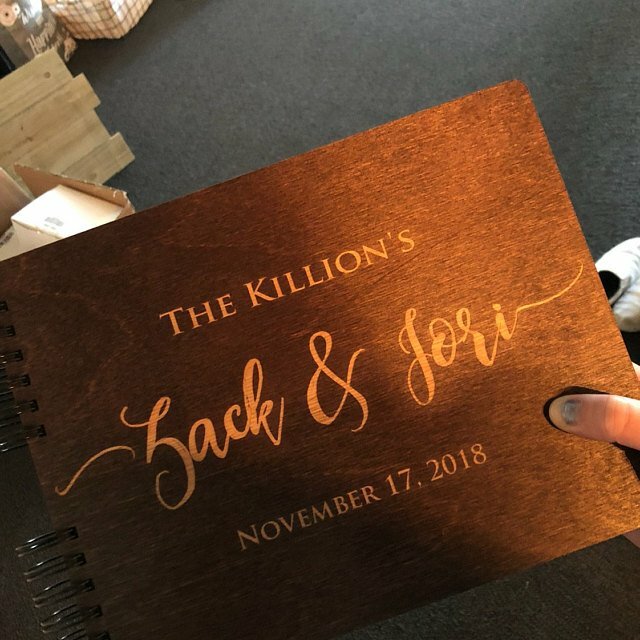 The book received looks perfect! love it very much. 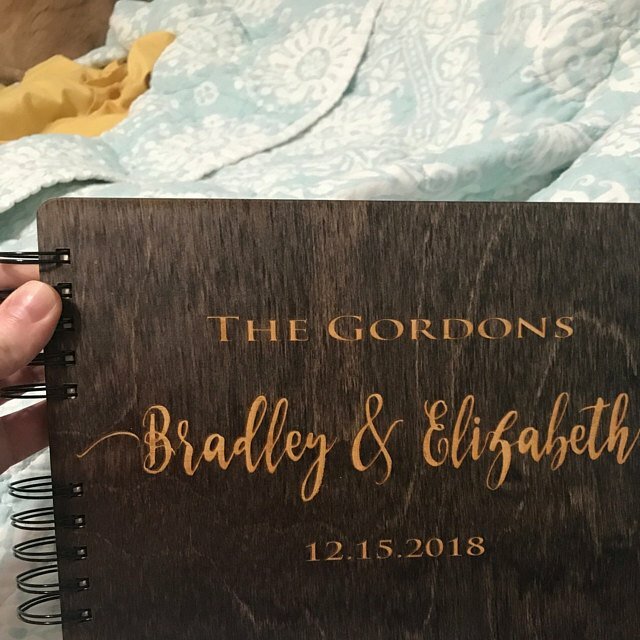 Question about Wooden Wedding Guest Book is Successfully Submitted.